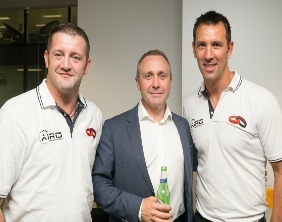 Paul Sculthorpe MBE and Jimmy Gittins delivered a motivational speech on the theme of “Resilience in Business and rugby” to a room full of over 100 managers, professionals and executives in the centre of London’s financial district. 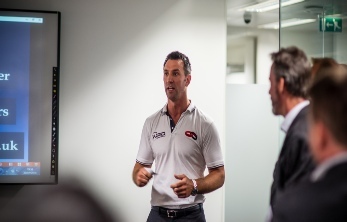 Resilience is a subject that both Paul and Jimmy feel they can talk about with experience and passion. 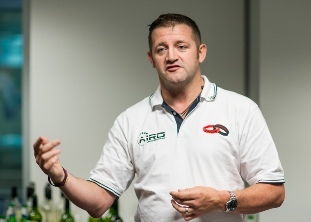 Jimmy has always been a resilient character, but his ability to recover from adversity was tested in 2002 when an accident on a rugby pitch left him with a neck that was broken in two places. Unable to move anything from his neck down Jimmy was given the stark news that he would never walk again. Resilience for Jimmy meant getting better one goal at a time until he was able to achieve his ultimate goal of walking out of the hospital. 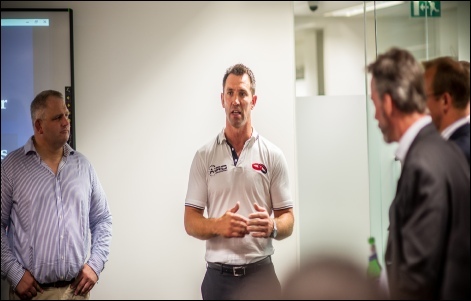 For Paul resilience meant recovering from injuries and proving doctors wrong who felt he would not recover quickly enough to play in big games like the 2007 World Club Championships against the Brisbane Broncos. Resilience also involves coping with pressure and for Paul a key part of this is to focus only on events that you can control and never getting too caught up in outcomes that cannot be controlled.